Driving from lunch at the Chipotle in Deerfield, I came across a lovely Sears Argyle right across the street. Original windows, original wood shingle siding--you don't often see Sears homes in such pristine condition. 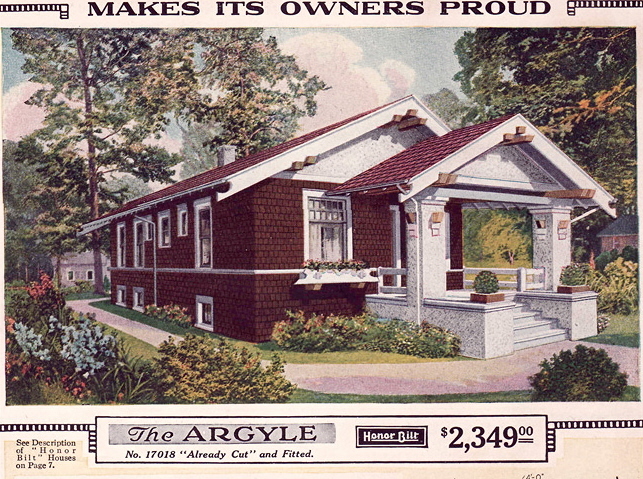 The Argyle was built by Peter N. Perry and his wife, Laura in 1925 or 1926. Peter was a carpenter by trade, and around that time he was working as a building contractor. 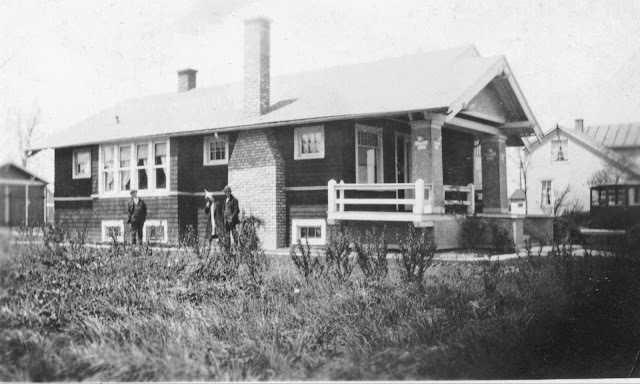 The house, around 1926. The man under the dining room windows is likely Peter Perry. The car in the driveway is a 1925 Essex coupe, which helps to date the photo. Photo courtesy of John Cameron. Peter died in 1932 and Laura died in 1943. Their daughter, Sadie Beckman, and her husband, Edwin Beckman, moved into the house after Laura's death. Sadie lived in the house until her death in 1966. Rosemary Terrace in an undated photograph. The Argyle is the first house. Photo courtesy of John Cameron.